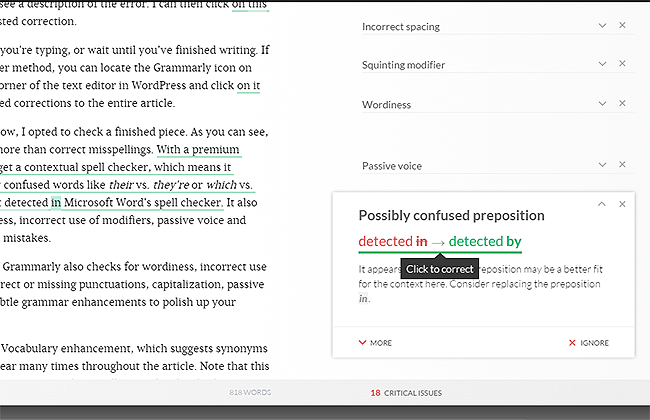 Grammarly is the best tool for writers, bloggers & content companies to proofread and check for plagiarism. They offer a web app (cloud based), a Chrome addon, a Word addon & a desktop app for Mac. Their 'free to try' model makes this app worth using. It's one of the best proofreading tools out there. 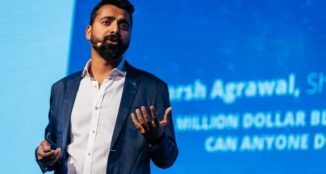 Is Grammarly subscription worth it? 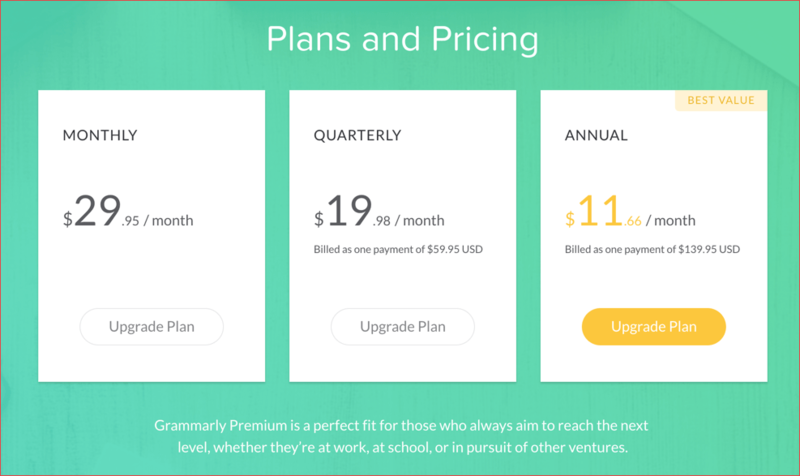 What’s the difference between Grammarly free & Premium plan? Find answers in this detailed Grammarly review by a user. If you’ve ever written a blog post before, then you’ve probably had stray commas and misspelled words that you somehow overlooked during your proofreading process. Grammatical errors in your blog posts are one of the quickest ways to make a reader stop reading your content and move on to something (and somewhere) else. You can proofread for an hour, or even have someone do it for you, but the reality is that you’re only human, and you will make even the silliest mistakes. Like Harsh, I’m also a non-native English speaker, and that makes me particularly cautious of grammar and spelling when writing anything in English. So when I came across Grammarly, I immediately decided to give it a go. I first started using the free version, which was impressive, even with its limitations. 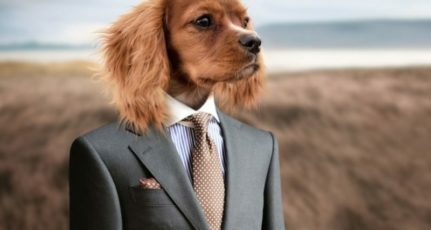 But for this Grammarly review, I will discuss the premium version to let you experience the full features of Grammarly. Conclusion: Is a Grammarly subscription worth it? 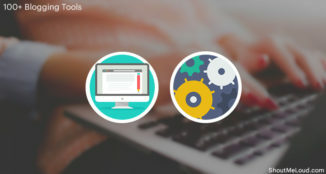 Grammarly is an advanced, full-featured grammar and spell checker that integrates with almost anything you write online. Typing on any text editor field in WordPress, Facebook, Twitter, or email activates the tool by underlining any error(s) in real time. For example, I’m typing this in WordPress, and as I type, I’m getting red lines below pieces of text that have perceived errors. To check what they are, I just hover over them with my mouse to see a description and a suggested correction. You can do this as you’re typing or wait until you’ve finished writing. 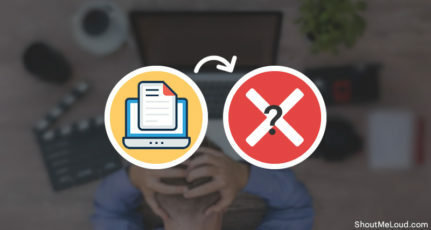 If you prefer the latter method, you can locate the Grammarly icon on the bottom right corner of the text editor in WordPress and click on it to view all suggested corrections for the entire article. In the example below, I’ve opted to check a finished piece. As you can see, Grammarly does more than correct misspellings. You also get a contextual spell checker. This means it catches commonly confused words like their vs. they’re or which vs. witch. These context mistakes are not detected by traditional spell checkers. Grammarly also checks for wordiness, incorrect modifier usage, incorrect article usage, passive voice, and other grammatical mistakes and concerns. Another cool feature is Vocabulary Enhancement, which suggests synonyms for words that appear many times throughout the article. 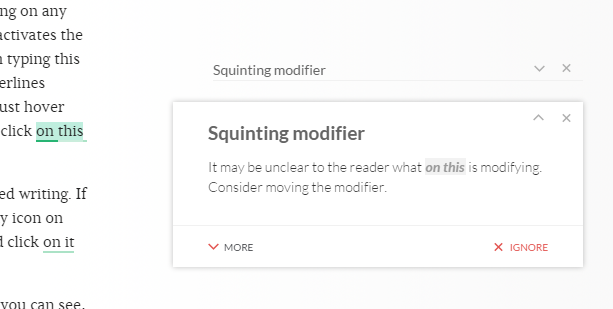 Note that Grammarly only offers suggestions, and you still get to decide whether or not to accept the modification. 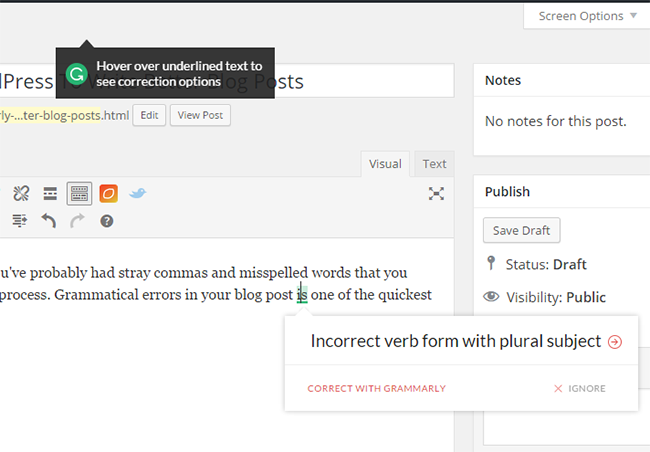 If you don’t write directly in the WordPress editor and instead use Microsoft Word or another text editing software, you can still check the text in your Grammarly dashboard. Just click on the “New” button, and copy and paste the text you want to check. If you’re an editor reviewing a writer’s article, there is also a plagiarism checker that can be accessed from the left tab of the review window. 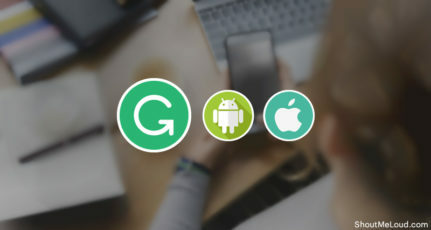 As mentioned earlier, Grammarly also works for email and social networks like Facebook and Twitter. 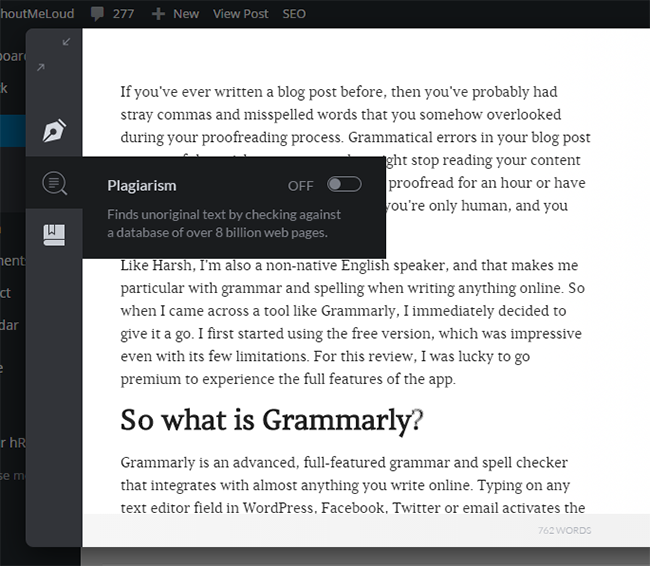 If you use Google Chrome, you can install the Chrome extension to use Grammarly on any text editor in your browser. When you first use this tool, it’s easy to think that you should accept all suggestions (especially if you are a non-native English writer). If you feel that there is nothing wrong with a phrase, sentence, or word, and you are confident that it does not break basic grammar rules, then you can leave it as it is. In the example below, a correction is suggested for the phrase “on this” which has a clear reference point in the context of the sentence. Since this particular wording is needed for my sentence to be complete, and I can establish that I’m referring to a pop-up box from the previous sentence, I can confidently ignore the suggestion. 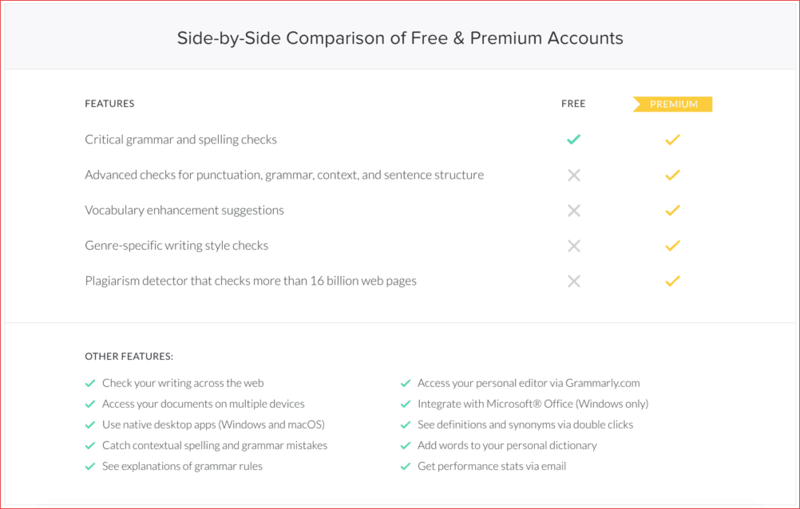 Grammarly offers free and a premium version as well. The below chart explains the different between both the plans of Grammarly. I recommend you to first try out Grammarly free. 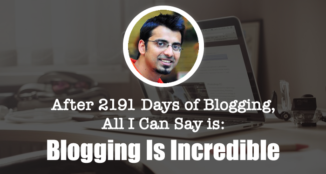 As writers and bloggers, we always strive for near-perfect articles and blog posts. However, no one is a “perfect” writer, and we need all the help we can get. Grammarly makes writing easier by providing mostly accurate and useful corrections that we might have overlooked. 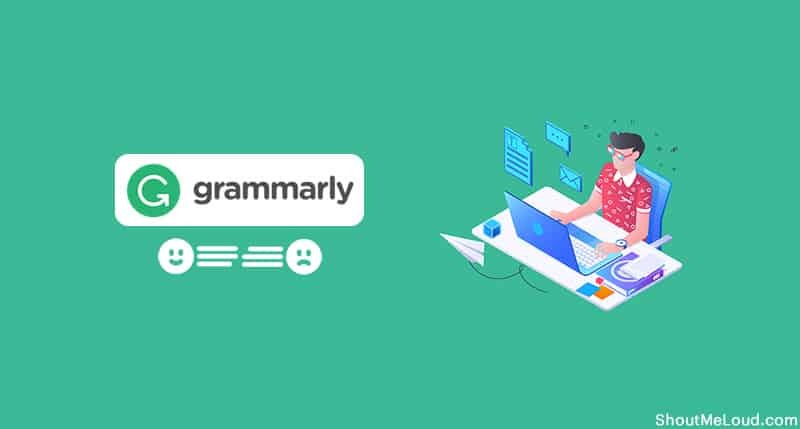 Although it shouldn’t dictate your writing style, Grammarly is a useful guide that can improve both your writing and proofreading skills. 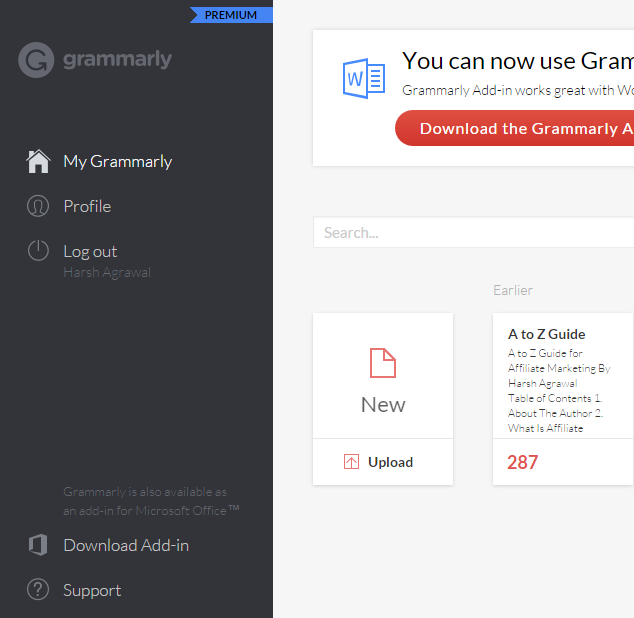 Get started with Grammarly for free. Do you use Grammarly? What are your experiences with this tool? Wanna share a review of Grammarly with us? Find this review useful? Share it with your friends! Amazing Review by Kim! I loved it. ShoutMeLoud has never disappointed. I’ve been using Grammarly for quite some time now and it has proved to be very effective for me. Keep up the good work. Keep Shouting! !